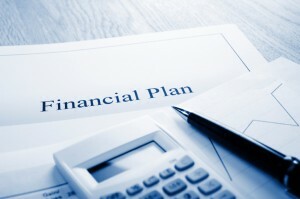 If you are a low-income earner, you may think that it is impossible to save money. The main problem is that you may feel like you barely have enough left over at the end of the month and that there is nothing left to save. The truth is that saving money can be difficult no matter how much money you earn. The trick is to take control of your finances and learn how to track your spending. Even if you can only save a few dollars a month, it will start to add up over time. It’s about creating positive financial habits. Below is a look at the steps you should take to start a savings plan today. No matter how much money you make, a budget is a crucial element in any well-developed savings plan. If you do not already have a budget in place, it is vital that you establish one for your household. A budget will help you track both your income and expenses and help you get a clearer picture of where you are spending your money. You must account for your needs first, such as housing, transport, food, and clothing. These are essential that you cannot go without. Also, be sure to give yourself some money for things that you want, such as entertainments, and gifts. You definitely want to look for areas where you can cut back on spending, but you also do not want to limit your spending so much that you find it nearly impossible to stick to. Look for ways to cut back, but still leave yourself at least some extra money to spend on non-essentials. The next step is to create some long and short-term financial goals. Write these goals down on a piece of paper listing them in the order you hope to accomplish them. Be sure to display this list somewhere that you will see quite often, such as on your home refrigerator. This will give you a goal to strive for and something to look forward to. This will provide the extra motivation you need to stick to your plan. It is always a good idea to re-evaluate your goals on a regular basis and make any changes, including adding some goals or taking some off your list. Saving for your long and short-term goals is a great reason to start a savings account, but you should also be sure to set some money aside in an emergency fund. This special savings account should only be used in the event of a financial emergency, such as the need for sudden home repairs or the loss of a job. This money should be placed in a separate savings account that is not connected to your current checking account. If you are living on a low-income, it may be difficult to set some money aside that you cannot use. However, if an emergency occurs, you will be more than happy that you have these extra funds available. To stretch your savings even further, considering signing up for one of the government’s great savings plans. In an effort to encourage people to start saving money, the government offers matching funds on these special accounts. Below is a look at the top three matching funds savings accounts available in Australia. First Home Saver Account. This special savings account is only for those people who want to start saving for their first home. The government will match up to 17 per cent of the first $6,000 you contribute to the savings account each year. This could be as much as an additional $1,020 each year. You must maintain the account for at least four years and the money can only be used towards the purchase of a home for a first-time homebuyer. Adds Up Savings Account. The AddsUp Savings Account is a special account that will match funds saved up to $500. You must currently be receiving payments through the Centrelink agency, and you must make regular payments into the account. SaverPlus Account. This account is only for those who want to save money back to help cover educational expenses, such as tuition, books and supplies. The governments will match this savings account up to $500, and you must make regular payments over at least a ten-month period. I know of at least one person at work who took advantage of the First Home Saver Account. It helped him and his wife get that first house that they wanted to start a family. It would be foolish not to take advantage of a program like that if someone is going to give you free money for doing what you are planning to do anyway. Important steps for low income and high income earners alike! Having an emergency fund is so simple and effective yet so many people over look this. These are great tips. Lately, I’ve been thinking that there are ‘low incomes’ and ‘low incomes’ – we, personal finance bloggers tend to think about low incomes that are not on the ‘bread line’. How about people who really don’t earn enough to secure shelter and buy food (you certainly can’t do much of that if you earn minimum wage in the UK).